Mr. Sandy Caligiore, Spokesperson, Mirror Lake Inn Resort and Spa, Lake Placid, New York, USA. 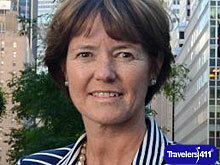 Sandy Caligiore is a Public Relations veteran, with 30 years of experience in tourism and the Olympic movement. In addition to serving as spokesperson for the Mirror Lake Inn Resort and Spa, he also handles PR for the U.S. Olympic Luge Team. He has attended seven Winter Games, starting with Lake Placid in 1980 up to PyeongChang in 2018. Sandy has handled the Mirror Lake Inn's PR responsibilities for the past seven and a half years. 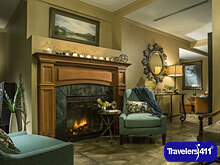 Visit the Travelers411 Directory listing for Mirror Lake Inn Resort and Spa. Mr. Sandy Caligiore, Spokesperson, Mirror Lake Inn Resort and Spa was on the October 20, 2018 "Travelers411" Radio Show in hour 1. Visit the Directory for Mirror Lake Inn Resort and Spa.